From March 2009 to November 2013, the Gravity field and Ocean Circulation Explorer (GOCE) mission spent over four years measuring the pull of Earth’s gravity. GOCE flew closer to the planet than typical observation satellites so that it could collect the most accurate measurements possible. Five years after the mission, data from GOCE is still providing scientists with remarkable new insights. Most recently, researchers at Kiel University and the British Atlantic Survey are describing the remains of lost continents hidden deep under the Antarctic ice sheet. 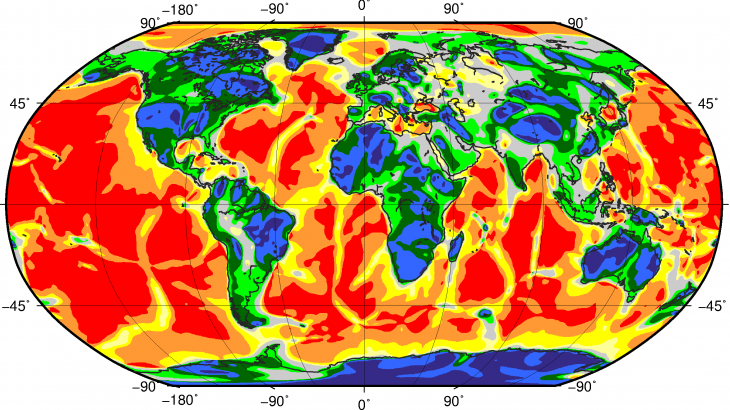 The GOCE mission not only produced a high-fidelity global gravity map known as a “geoid,” but also charted localized gravity gradients across all directions of motion. The research team converted this collection of 3D gravity measurements into “shape indexes” across different regions of the planet. The data offers a new look at the structure of all of Earth’s continents, but is particularly insightful when it comes to Antarctica. Across 98 percent of its surface, this illusive continent is covered by ice with an average thickness of 1.24 miles, which makes it very challenging to study. The 3D images showed that West Antarctica has a thinner crust and lithosphere compared to East Antarctica, which is made up of a mosaic of old cratons separated by younger orogens. The findings could help to predict how quickly certain regions may rebound in response to melting ice, and may inform experts on how Antarctica’s continental structure impacts the behavior of ice sheets.